As part of a WE school, our student council has been recognized for our local and global efforts. The WE Organization in partnership with WestJet have recognized our commitment to making positive contributions in our school, our community, our country, and our world. Some of our WE campaigns have included WE create change, WE bake for change, WE are Rafiki. 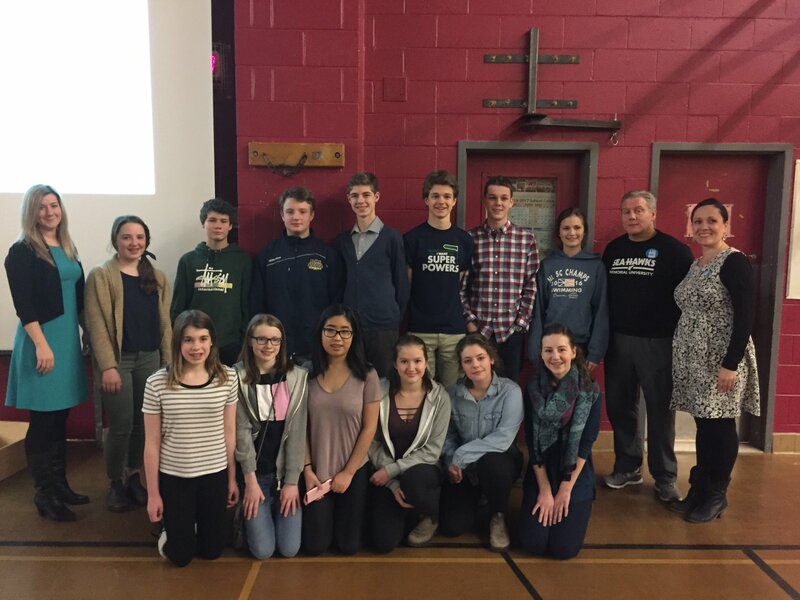 WE and WestJet have provided 13 of our student council members and two teachers with an all-expenses paid trip to Montreal to attend WE Day on February 24th, 2017. On February 23, our students will travel to Montreal to attend this national leadership event. Students will receive round-trip flights, hotel accommodations, and be paired with a group from a host school in Montreal upon arrival. They will also participate in an action planning workshop with the host school led by a WE facilitator. Our school was the only school in our area to receive the opportunity. Many thanks go out to our school community for your continued support of student council initiatives.